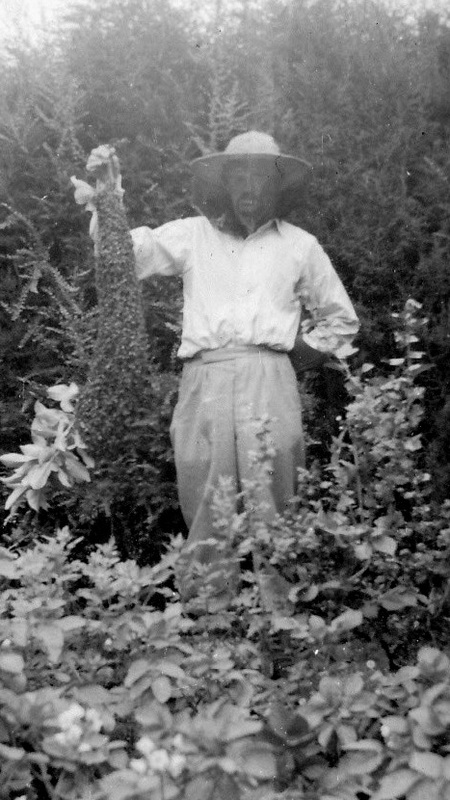 Fred Noble [pictured] was a keen hobby beekeeper for many years. He kept ten beehives in an apiary just a stones throw from Furzedown Farm. He taught son; Deryk the craft, who later on inherited the hives which he relocated over the road into Furzedown Farm Conservation Area. Deryk was a beekeeper for many years and sold the honey that the bees made in the Farm shop. Unfortunately Deryk became allergic to bee stings in the 80's and consequently was advised by his doctor to give up beekeeping, however he left three hives in a secluded apiary in the woods and left the bees too it. Deryk 'running' a swarm of bees into a hive. Deryk with a nice swarm of bees. By special arrangement with the Forestry Commission, we also take our hives out on to the heathland during the month of August for the mass flowering of the Heather where the bees produce beautiful New Forest Heather Honey. Heather Honey is considered to be the finest Honeys available in England. 25 years later, in 2014 Deryk's son, Simon, started up beekeeping. He took over the old hives that had been left by Deryk 24 years before. The bees needed to be put into new hives of course, but were still thriving, and having been left alone for so long, had adapted well to the local conditions. 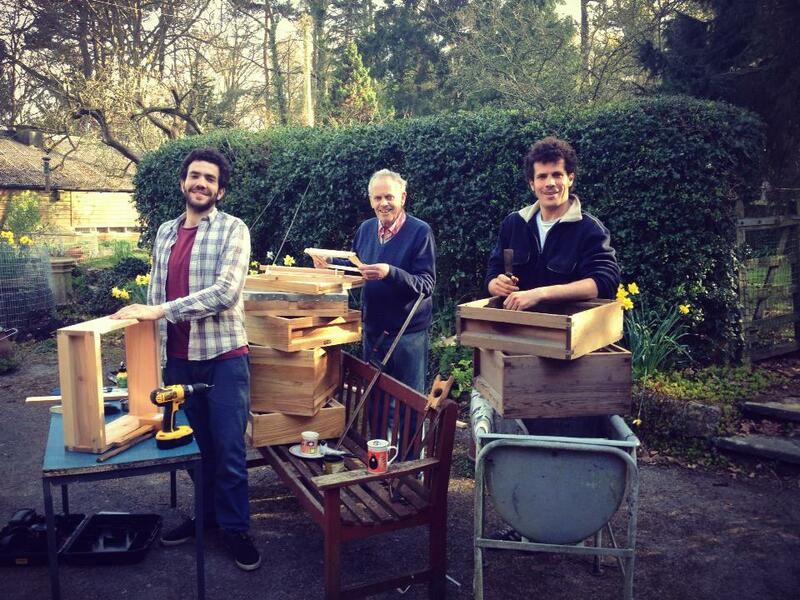 Today Simon has made a growing business from beekeeping. He currently looks after 70 hives, some of which are kept in the woodland here and some at Furzedown Farm and others are kept in specially chosen apiaries around the New Forest National Park. Knocking up a beehive. Tom Noble, Deryk Noble and Simon Noble. We consider looking after the bees as a responsibility, and we try to do so in a way that is harmonious with the natural behavior of the bees. We only take honey that is excess to the bees needs, and make sure they have more than enough honey stored in the hive to see them through the longest of winters.